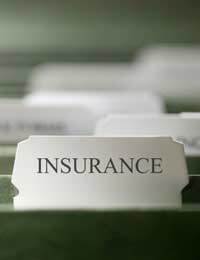 Insurance is one of those items that's easy to overlook after a few years but it's important to a bed and breakfast business to check it at least every year and make sure that you are sufficiently covered. In today's world where we seem to be more and more conscious of liability and the potential for being sued, it's become even more important. If you are already running some kind of business on the premises and you are expanding to include a B&B, don't assume that your existing insurance will cover you. It will be a requirement of your existing household or business insurance policy that you inform the insurers that you are running a B&B. Although it's not a legal requirement to tell them, your insurance will be invalidated if you have to claim for say, storm damage, and they discover you're running a B&B and haven't told them. You should inform your insurance company in writing and let them know what changes you have made to the property, how many guests you will be catering for and what meals and other facilities you will be providing for them. They will also need to know if you intend to open your restaurant or dining room to the general public or not, and if you will be serving alcohol (remember that you will only legally be able to do this if you apply for the relevant license). You must also tell them if you are running any other business from the same premises and whether or not you are employing staff, even if they are just casual and part-time. If you are, then you also need to enter the world of employers' liability insurance. This provides funds if an employee is injured or killed as a result of being employed by you and is a legal requirement in the UK. You may find that your current insurers will accept this and put the premiums up accordingly, but it's more likely that they say that it's not their sort of business and turn you away. But either way it's worth checking with some of the specialist insurance companies for the hotel and catering trade as they may well be cheaper. They will also be aware of the legal requirements regarding insurance for a B&B. Public liability insurance may or may not be included in your new insurance. You will need to make sure that you have this to cover you against any claims from guests or other members of the public. This will cover, for example, a fall in the accommodation area where you can be shown to be negligent, perhaps a loose flooring tile or a banister that comes off a wall. The insurance will cover the cost of defending yourself, if you feel you were not negligent, and the damages if a court decides you are. Make sure you regularly assess the amounts that you are covered for. With buildings and contents, for example, make sure you update every year to allow for any rise in value of the property, furniture and fittings. If your policy doesn't provide accommodation for you if you are flooded out or suffer fire damage, make sure the amount you are covered for is enough to compensate for that. Regularly review other amounts that you may be liable for, guests' possessions, loss of business as a result of damage to the property, any cash you might keep in the property or anything else that could be lost, stolen or damaged. Finally, don’t forget yourselves. If you have given up more traditional employment to run this business you will need to consider insurance for accident and injury or sickness. If you are unable to work and have to close the business, even temporarily, you will need to replace that lost income. Hello, I'm completly new to this and would appreciate some advice. I own a small bungalow and want to use my spare room for a B&B. I don't know where to start with insurance etc. My house insurance doesn't cover this. Can I just buy a B&B insurance? Also is there anything else legally that I must do? Thankyou in advance.